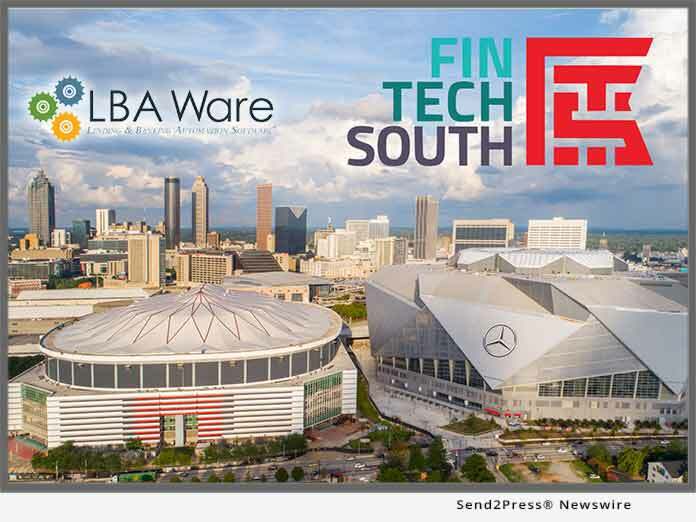 LBA Ware, provider of the leading automated incentive compensation and sales performance management platform for mortgage lenders, today announced that it will be an exhibiting company in Innovation Alley at FinTech South 2019, the Southeast’s largest event dedicated to financial innovation. MACON, Ga. /Mortgage and Finance News/ — LBA Ware(TM), provider of the leading automated incentive compensation and sales performance management platform for mortgage lenders, today announced that it will be an exhibiting company in Innovation Alley at FinTech South, the Southeast’s largest event dedicated to financial innovation. Now in its second year, FinTech South takes place April 22 and 23, 2019, at Mercedes-Benz Stadium in Atlanta. Hosted by the Technology Association of Georgia (TAG), FinTech South showcases the Southeast’s most innovative companies and brings together global fintech leaders to exchange insights on industry trends. As one of 40 fintech startups invited, LBA Ware will exhibit its award-winning mortgage industry technology CompenSafe(TM) at the event’s Innovation Alley, which spans the 50-yard line to the end zone of the stadium venue. A Macon, Georgia-based mortgage technology start-up, LBA Ware has been an active contributor to Georgia’s rich tech ecosystem and innovation community. In 2017, LBA Ware was accepted into the signature portfolio of Georgia-based tech incubator Advanced Technology Development Center (ATDC), which was recognized by Forbes magazine as one of the “12 Business Incubators Changing the World.” In 2018, LBA Ware opened a satellite office at the ATDC headquarters in midtown Atlanta’s Tech Square.